Apple and Path are close to a reaching a buyout agreement, according to a new report from PandoDaily. The social network app would likely be built into Apple Messages to some degree, although details remain unknown. Path has a lot of ties to Apple in terms of talent leading all the way up the food chain to CEO Dave Morin, who is a former Apple employee. Morin was spotted sitting up front during the iPhone 6/Apple Watch keynote on Tuesday, a place usually reserved for top Apple executives. 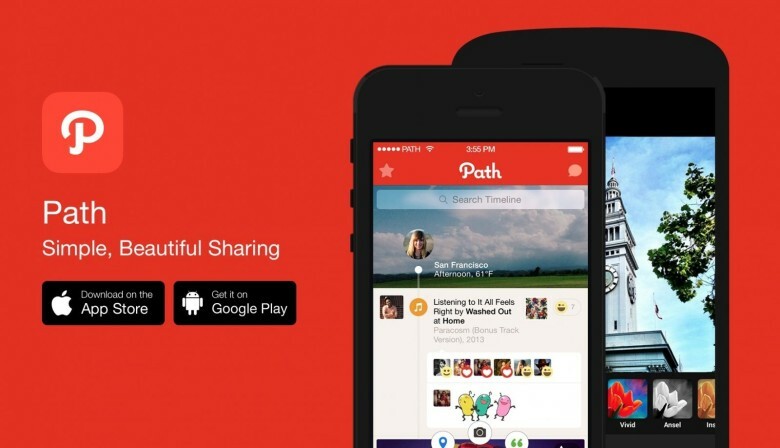 After being on the App Store for several years, Path has struggled to gain traction. While the company claims that its user base has been growing steadily in recent months, its still dwarfed by social networks like Facebook and Twitter. Path started as a network for only your 150 closest friends, but the app has since loosened those restrictions and let you add more people. Its most recent app, Talk, is a private messenger with a few bells and whistles. “Ambient Status” lets the user know when friends are in his or her area, and additional media like music, movies, books, and maps can be shared with friends. Path is also working on a feature called Place Messaging that will let users communicate directly with local businesses to make dinner reservations, book appointments, and more. In iOS 8, Apple’s Messages app can send quick audio messages, and recent contacts are displayed above the app switcher. It’s easy to imagine Apple making its messaging experience more social, although it’s unclear how Path specifically would help. But hey, Apple made Ping, so anything’s possible.